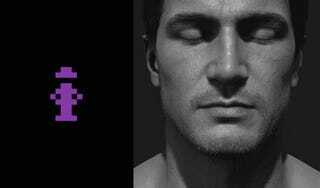 This picture represents over 30 years of progress in video game graphics. And my, how far we've come. On one side, we have Indiana Jones in the video game version of Raiders of the Lost Ark on the Atari 2600. On the other side, we have Nathan Drake in Uncharted 4 on the PS4. We'll let you guess which side is which. The image, which was first posted on Reddit, is absolutely stunning. Of course, Uncharted 4's in-game graphics won't always look that good since the picture above is taken under ideal conditions but still, the graphics in the video game are going to be pretty damn impressive.